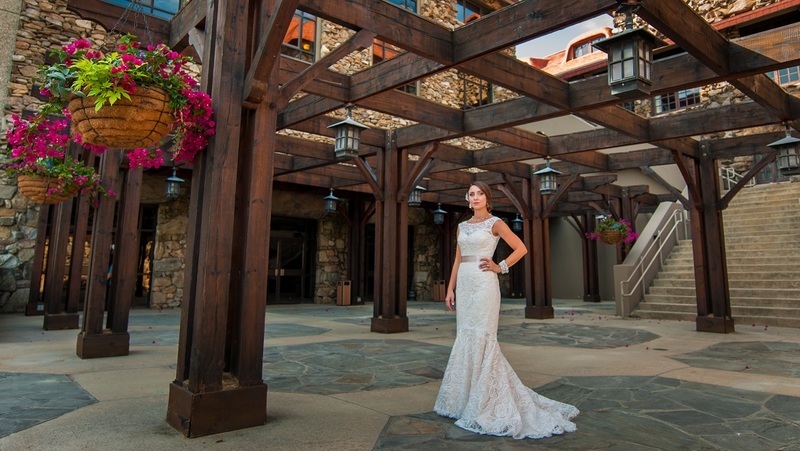 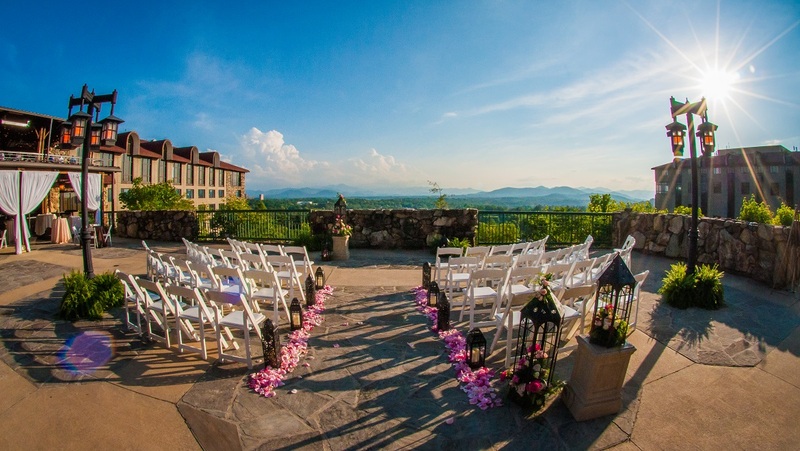 Surrounded by the majestic Blue Ridge Mountains, The Omni Grove Park Inn is the perfect location for the wedding you've always dreamed of. 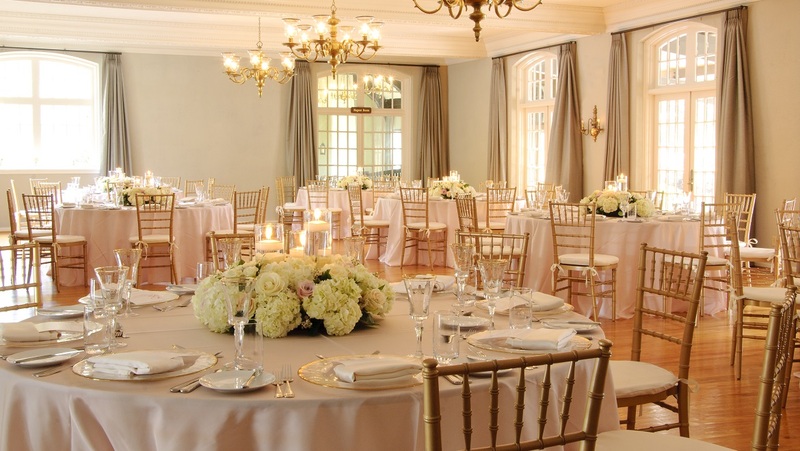 From intimate gatherings to grand galas, our venues provide a romantic setting for your unique wedding. This Arts & Crafts inspired pavilion is designed not only to better serve our guests but to honor the style and craftsmanship of our historic Main Inn and showcase the abundant natural beauty and stunning scenery of the property. 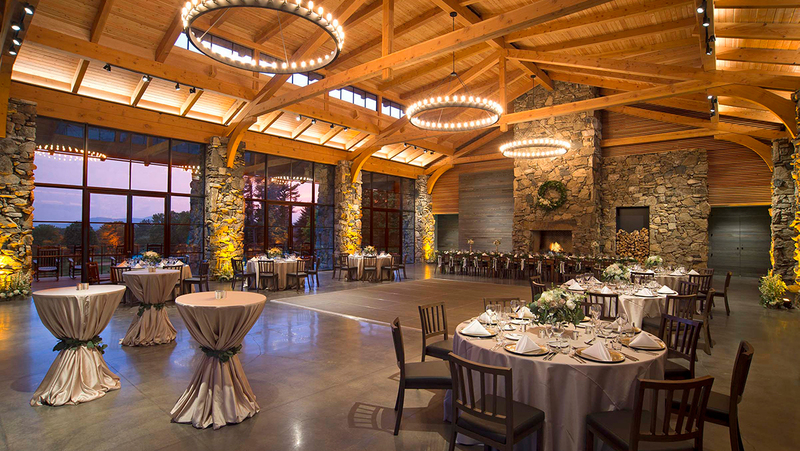 Exposed trusses, reclaimed wood and a stacked hearth around the large fireplace will provide a rustic ambiance, while polished concrete flooring and modern technical amenities ensure the Pavilion provides up-to-date conveniences. 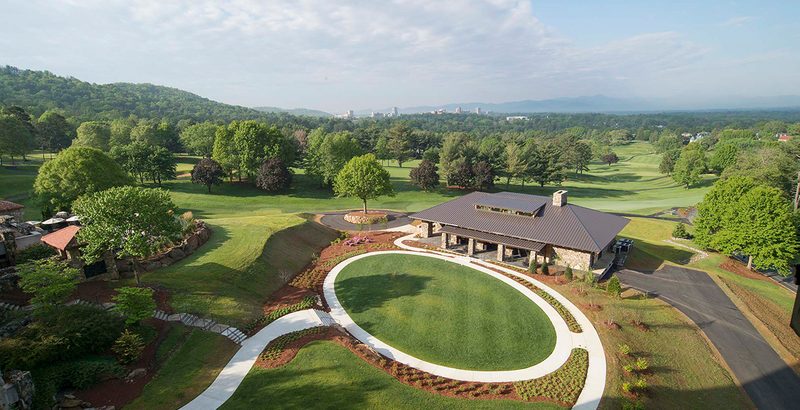 The structure also features six pairs of picturesque, floor-to-ceiling doors and windows, offering panoramic views of the surrounding mountain range and our lush Donald Ross designed golf course. 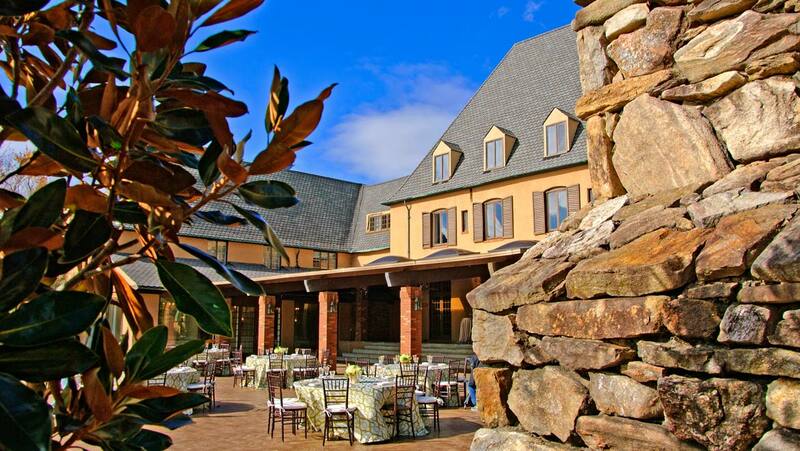 Indoor reception in the Country Club at The Omni Grove Park Inn. 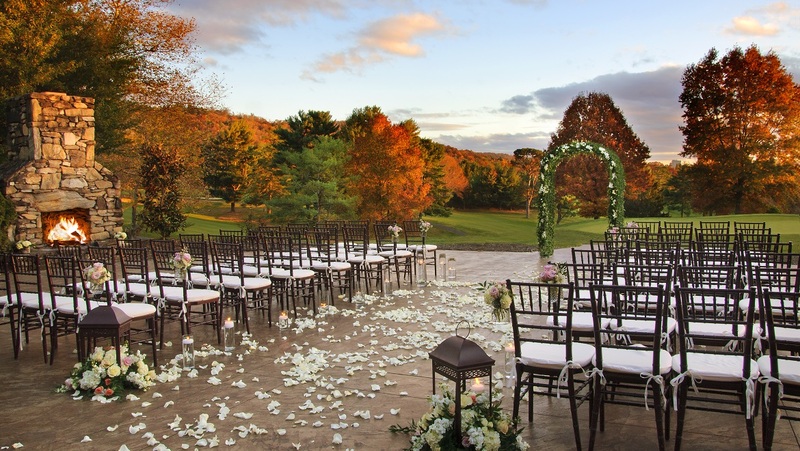 Indoor wedding set-up in the Country Club at The Omni Grove Park Inn. 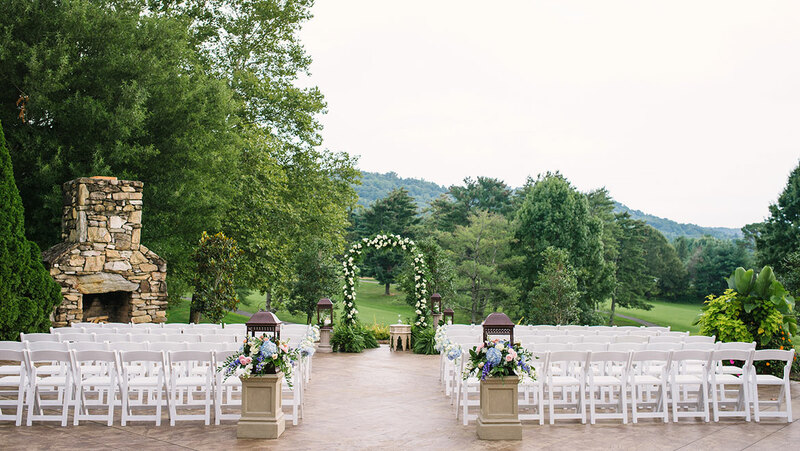 A spring ceremony on the patio of the Country Club at The Omni Grove Park Inn. 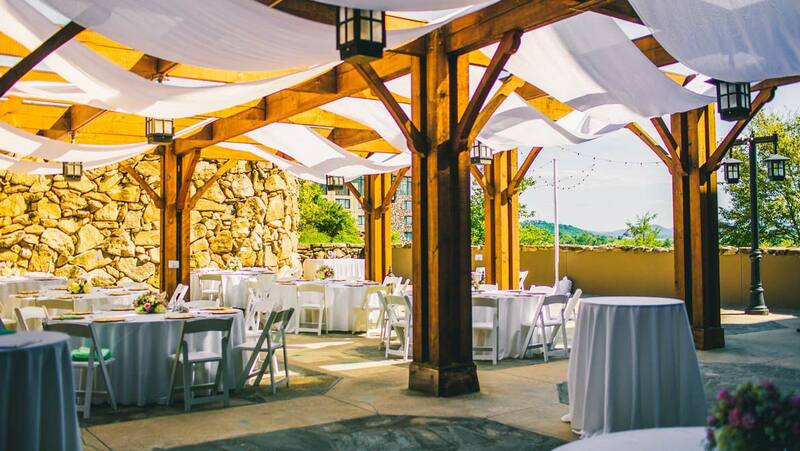 With floor-to-ceiling windows framing our beautiful mountain backdrop and a massive outdoor rock fireplace, the Mountain View Terrace and Skyline Room provides the perfect indoor and outdoor venue. 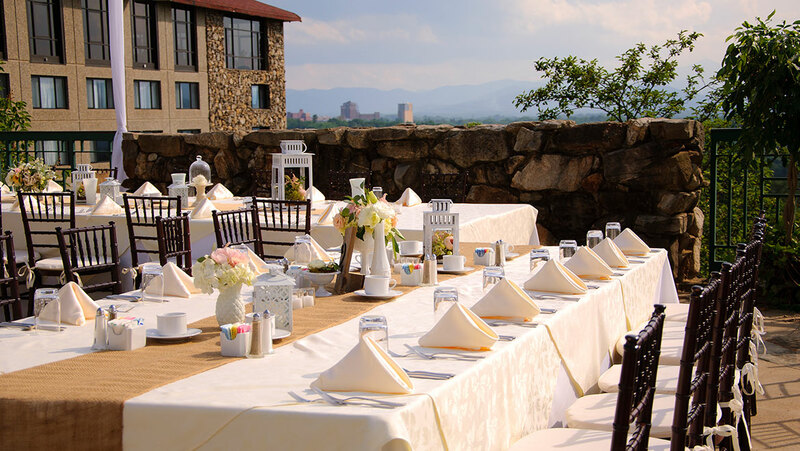 Resort elegance combines with the natural beauty of the area on our star-lit terrace with scenic mountain views. 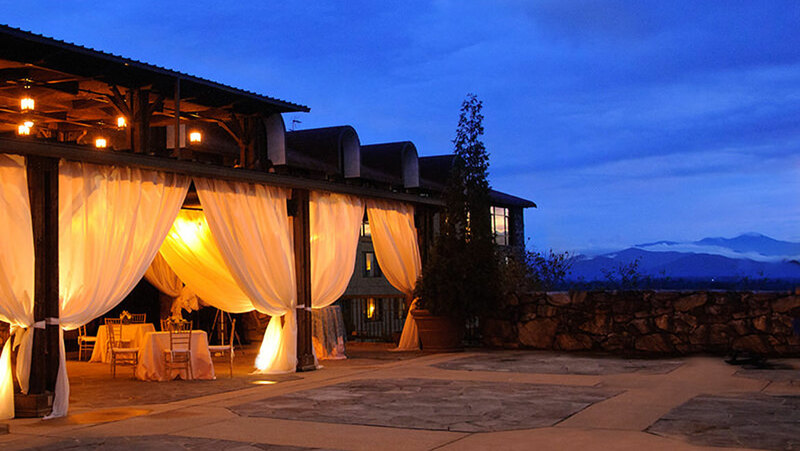 The square footage for Mountain View Terrace is 6,925 and for Skyline Room is 5,346. 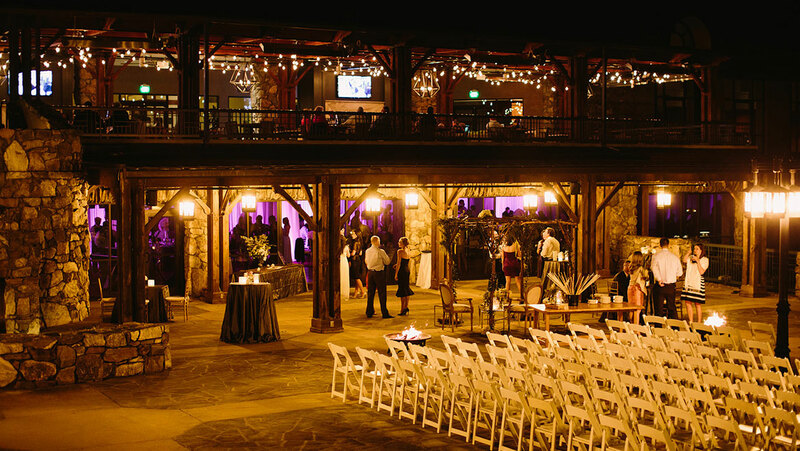 The guest capacity is 200. 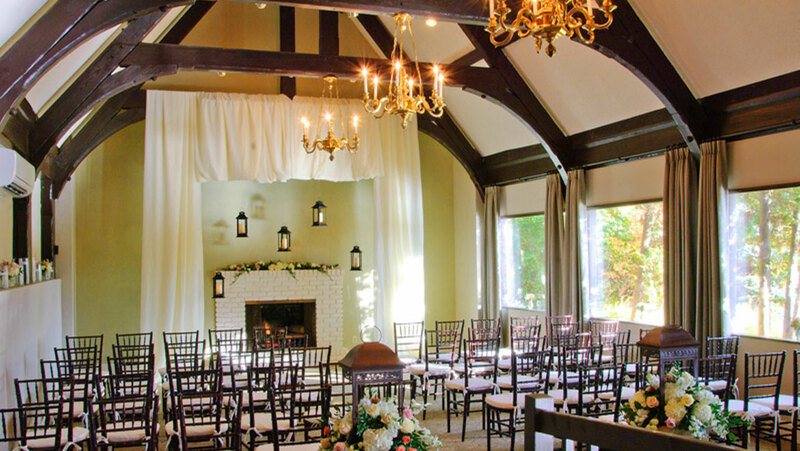 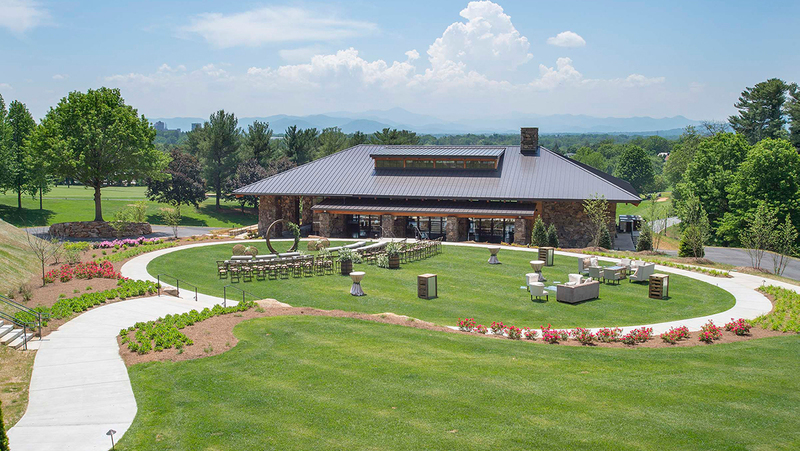 Say "I do" in a more intimate setting with breathtaking views overlooking the majestic Blue Ridge Mountains. 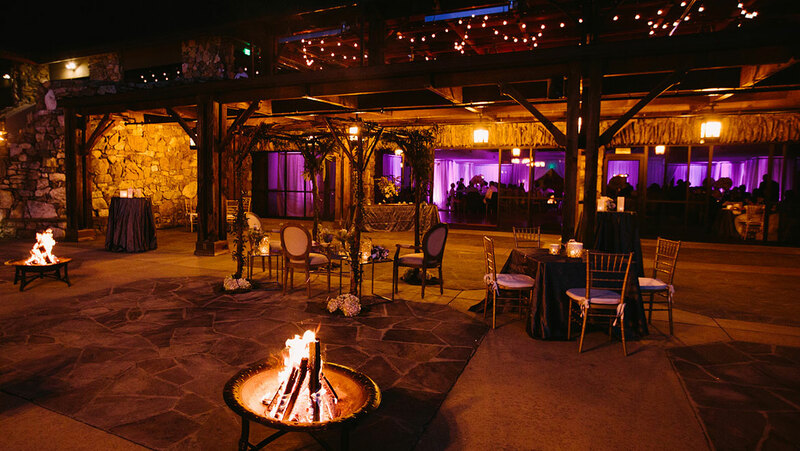 The open-air Vanderbilt Terrace can be arranged for a ceremony or reception under the stars. 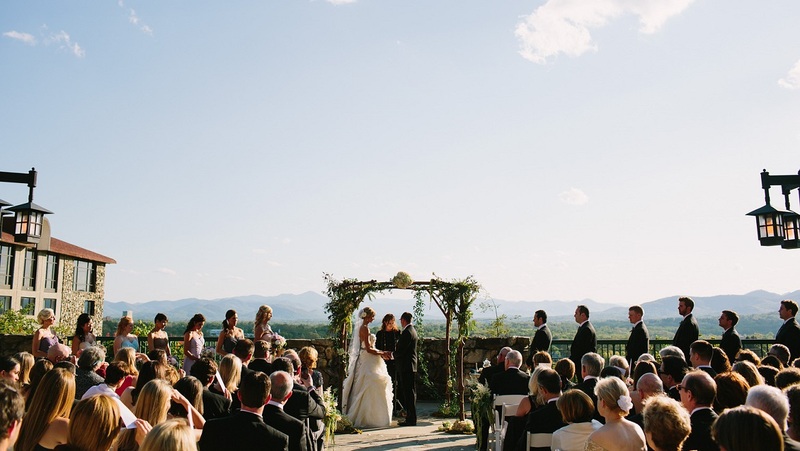 The square footage is 4,290. 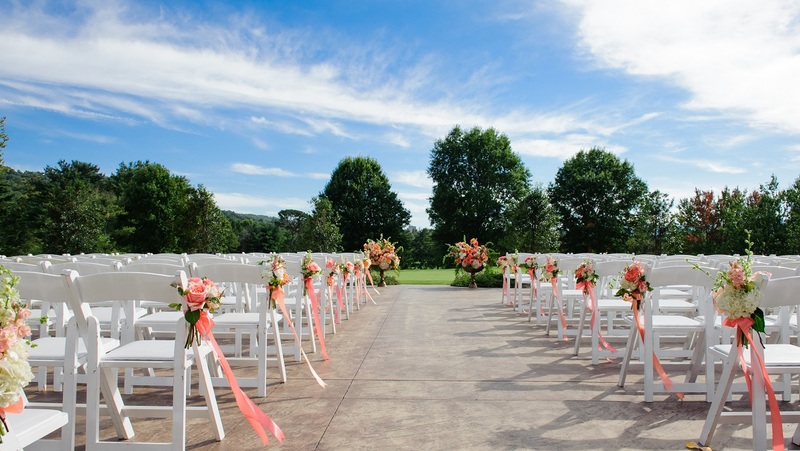 Guest capacity for the ceremony is 130 and for the reception is 100.